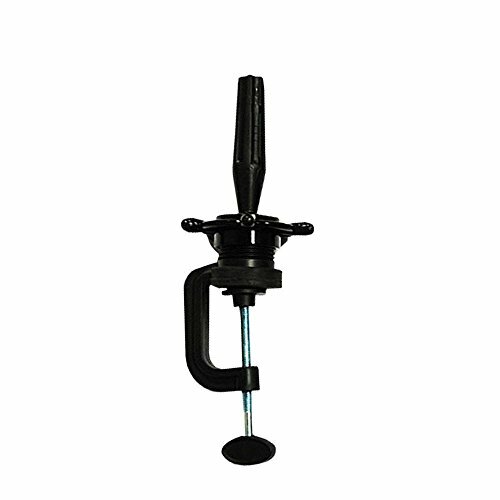 Celebrity Cosmetology Mannequin Head Standard Holding Clamp/Stand, 4 oz. White Premium Injection Mold Woman's Torso Form is an economical and effective way to showcase your merchandise and swimwear. The fashion forms are very flexible and feature an opaque finish that accentuates the details of the form that allows it to be visually appealing. The form is made from shatterproof plastic and features a half-round, open-back plastic shell that allows clothing to be pinned and synched. Fashion forms are easy to dress for displaying top and bottom merchandise. Fashion forms lay flat against display walls and free standing units. 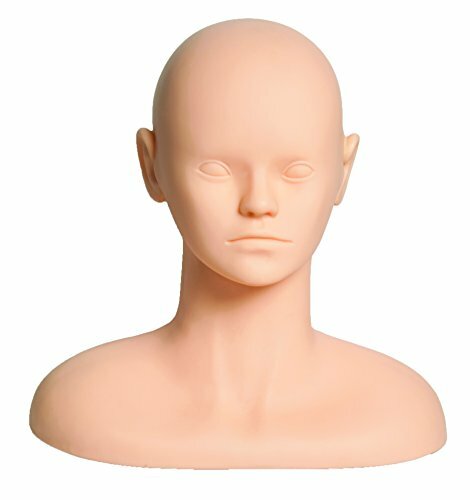 Professional holder used to securely fasten manikin head to any flat surface so you can style away. Ship wheel design. 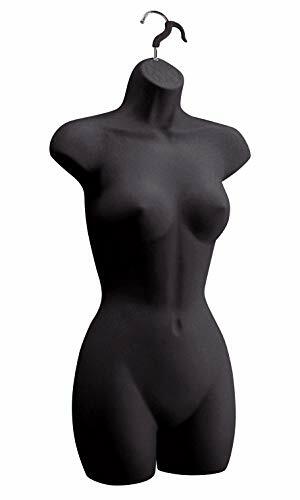 Black Premium Injection Mold Woman's Torso Form is an economical and effective way to showcase your merchandise and swimwear. The fashion forms are very flexible and feature an opaque finish that accentuates the details of the form that allows it to be visually appealing. The form is made from shatterproof plastic and features a half-round, open-back plastic shell that allows clothing to be pinned and synched. Fashion forms are easy to dress for displaying top and bottom merchandise. Fashion forms lay flat against display walls and free standing units. Black Premium Injection Mold Men's Shirt Form is an economical and effective way to showcase your merchandise. The fashion forms are very rigid and feature an opaque finish that accentuates the details and allow it to be visually appealing. The form is made from shatterproof plastic and features a half-round, open-back plastic shell that allows clothing to be pinned and synched. Fashion forms are easy to dress for displaying top merchandise. Fashion forms lay flat against display walls and free standing units. You can use it to display your products in the window, on a counter, on a tiered display shelf, or on the floor. The dress form also fit to be presented as a gift. And the height is adjustable which can meet your needs to display different kinds of products. Decorate your room and next day's dress preparation. 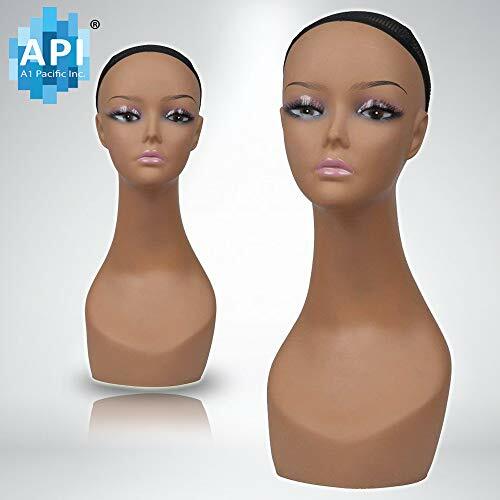 With this decorative mannequin dress form in your room, it helps to make rooms more beautiful and provide the chance to prepare the dress for next day. 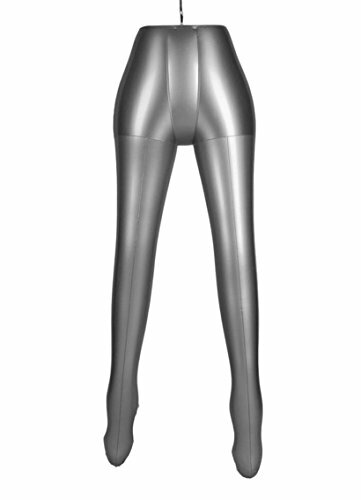 Our mannequin dress form suits different kinds of clothes, trousers, skirt and etc. It ensures to attract more customers' sight for your business. 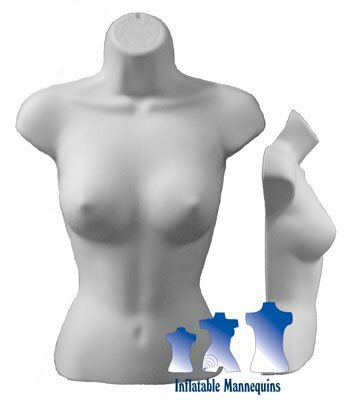 This mannequin dress form is made of high quality solid foam body with fabric cover. It is tough and durable so it can bear more clothes than others. If it gets dirty, you can simply wash it and dry it. It won't hurt the product. With the installation instruction enclosed in the product package, you can complete the assemble or disassemble in minutes without any tools. Material: Solid foam body, fabric cover, MDF, Wood tripod stand. Adjustable Height : Adjustable Tripod Stand can reach 52 to 67 inch, satisfying various demands. 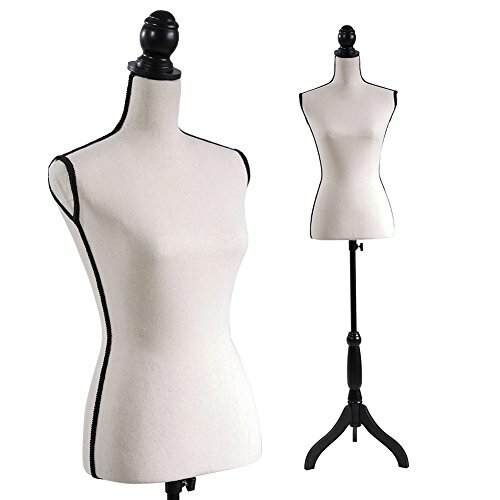 Light Weight and Easy to Move : It is convenient for you to move the mannequin and suitable for you to place anywhere you need it. Sturdy Tripod Stand : The bottom tripod base and stand is made of painted pine wood which is solid and durable enough to serve longer time and strongly support the whole mannequin. EASY TO ASSEMBLE : With the installation instruction enclosed in the product package, you can complete the assemble or disassemble in minutes without any tools. Great for Display : You can use it to display your products in a window, on a counter, on a tiered display shelf, or on the floor. Ideal for sweaters, T-shirts, jackets, dresses, blouses, tops and accessories. 3.The ear holes are completely pierced, which are suitable for displaying earrings. 4.There is a hole at the bottom and can be inserted into the bracket. 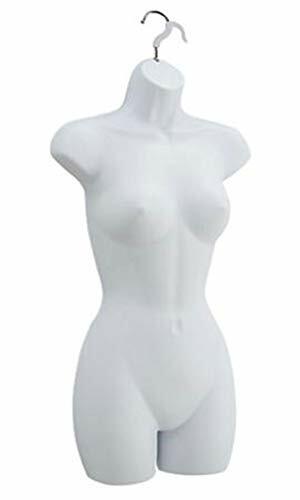 Height:18inch;Weight:3 pounds,Head circumference is approximately 21.5~22"
This is a White Torso Mannequin Form. It's perfect to show tops, blouses, bras and others. The white and flesh color are useful for dark colored garments while the black color helps to show better light colored garments (available too).If you want to save on shipping and have more versatility in displaying or showing your clothing for taking pictures, you may consider buying this item in a set of two (black and white or black and flesh) or a set of three (black, white and flesh tone). Sturdy Plastic so you can easily clean it with any cleaning product. If you don't really need this product, please do not place the order. Recently, many customers return after using the product( even the product is OK ).They think that no longer need it. We have no way to sell returns. If you are not satisfied with the product, you can contact us and leave your message. We will provide services until you are satisfied. We believe that everything can be solved by communicating. 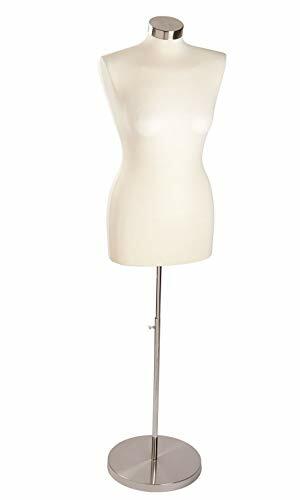 1.LIGHTWEIGHT - The mannequin is light weight and easy to move around. 2.Sturdy Tripod Stand-The bottom tripod base and stand is made of painted pine wood which is solid and durable enough to serve longer time and strongly support the whole mannequin. 3.Height adjustable - adjustable Tripod Stand can reach 51 to 66 inch. 4.Great for Display-You can use it to display your products in a window, on a counter, on a tiered display shelf, or on the floor. Ideal for sweaters, T-shirts, jackets, dresses, blouses, tops and accessories. 5.EASY TO ASSEMBLE & DISASSEMBLE - With the installation instruction enclosed in the product package, you can complete the assemble or disassemble in minutes without any tools. Brazilian female form. Flesh Tone color. Full round form. Metal base included. Unbreakable polypropylene material. 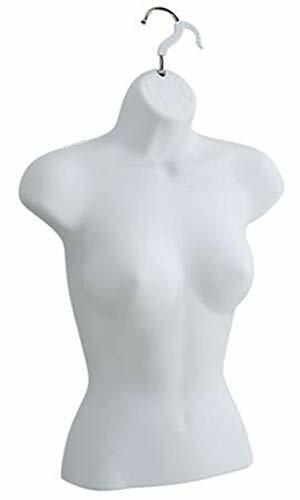 White dress mannequin form. It's perfect to show dresses, tops, blouses, bras and others (even pants). The white color helps to show dark colored garments and the black is for light colored garments - available too. The female form has a gap between the legs, which allows to better display swimsuits, underwear as well as skirts and pants because of the leg portion it has. 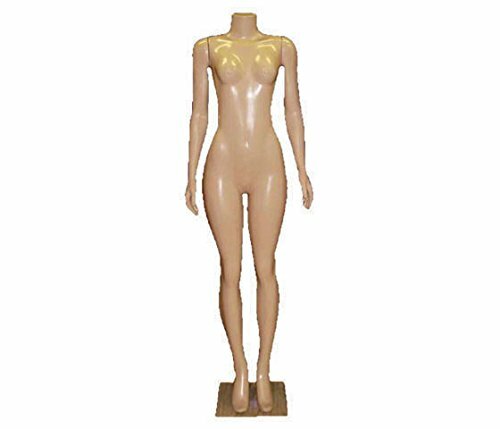 If you are looking for a mannequin form, choose the display form where you will have a wider range of use. White Premium Injection Mold Woman's Shirt Form is an economical and effective way to showcase your merchandise. The fashion forms are very rigid and feature an opaque finish that accentuates the details and allow it to be visually appealing. The form is made from shatterproof plastic and features a half-round, open-back plastic shell that allows clothing to be pinned and synched. Fashion forms are easy to dress for displaying top merchandise. Fashion forms lay flat against display walls and free standing units. 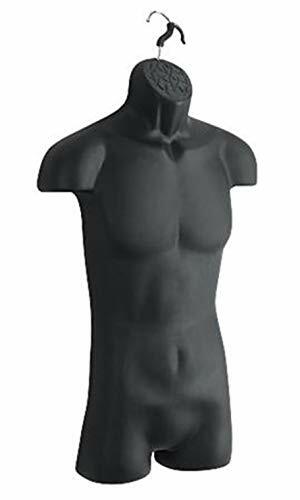 This item is a black male mannequin torso with a metal stand. The metal stand is adjustable from 19 " up to 38 " height. This mannequin is perfect to show t-shirts and jackets. It is also comes with a metal hook. So, you can hang against wall. 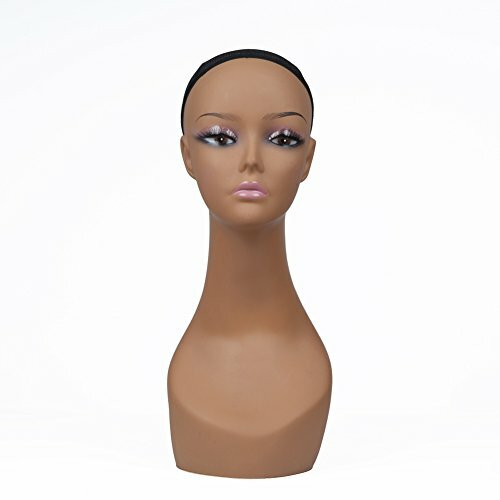 This mannequin is a half form made of sturdy plastic (injection molded) so that they stackable for easy storage. 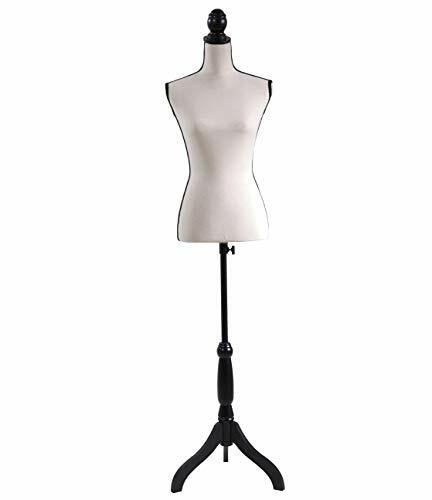 DURABLE BASE: This 8" metal base and stand with mannequin is a great way to display or take photographs of clothes on a table. DISPLAY SMALL - MEDIUM SIZES: Some Medium Size clothes may need to adjust in the back for better fit. Use the attached non-marking clip to adjust them in the back. EASY SET UP : Super simple to put together for trade shows, exhibits, fairs, craft shows, etc. 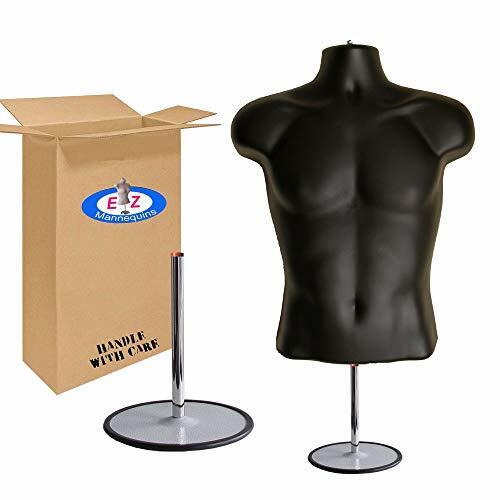 This hollow back mannequin is easy to stack for storing compared to a full body. PRODUCT TABLE: Intended for counter top. Mannequin height is adjustable from 19 to 36 using the base pole. Comes with a hook for hanging if you don't want to use the metal and stand base. What will the dress form do for you? 1.Height adjustable - adjustable Tripod Stand can reach 51 to 66 inch. 2.LIGHTWEIGHT - The mannequin is light weight and easy to move around. 3.Sturdy Tripod Stand-The bottom tripod base and stand is made of painted pine wood which is solid and durable enough to serve longer time and strongly support the whole mannequin. 4.EASY TO ASSEMBLE & DISASSEMBLE - With the installation instruction enclosed in the product package, you can complete the assemble or disassemble in minutes without any tools. 5.Great for Display-You can use it to display your products in a window, on a counter, on a tiered display shelf, or on the floor Ideal for sweaters, T-shirts, jackets, dresses, blouses, tops and accessories. 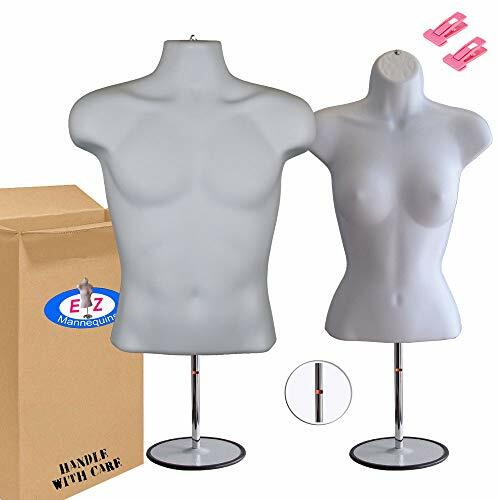 Male + Female Mannequin Torso Set, Dress Form Hollow Back Body Tshirt Display, w/Metal Stand for Counter Top by EZ-Mannequins for Craft Shows, Photos or Design, Easy to Assemble and Store, S-M Sizes. 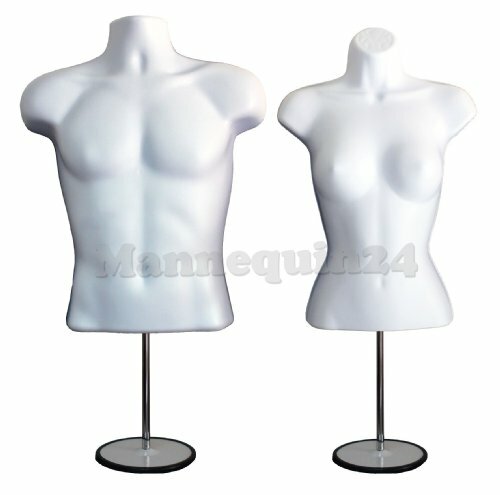 White male and female mannequin torso set with metal stand. The metal stand is adjustable from 19 " up to 38 " height. These mannequins are perfect to show t-shirts and jackets. They also comes with a metal hook for hanging against a wall when they are not use with the stand. 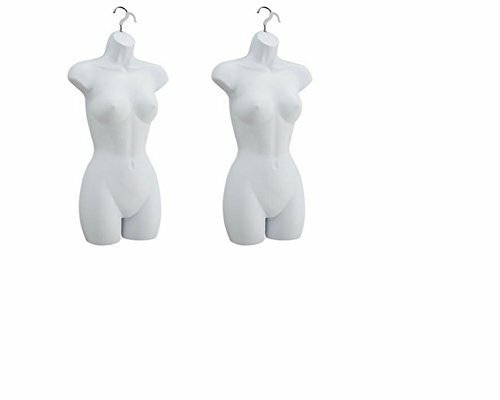 These mannequins are half form made of sturdy plastic (injection molded) so that they stack for easy storage. This richly smoothing and softening blend of ingredients stores moisture deep within the skin. It is reactivated by contact with water. 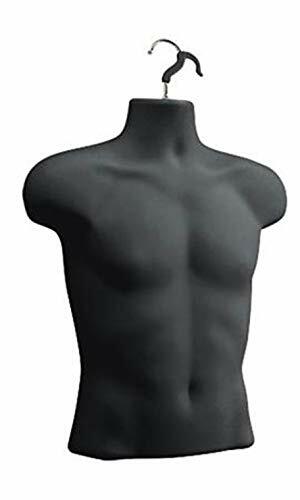 Black Premium Injection Men's Torso Form is an economical and effective way to showcase your merchandise and swimwear. The fashion forms are very flexible and feature an opaque finish that accentuates the details of the form that allows it to be visually appealing. The form is made from shatterproof plastic and features a half-round, open-back plastic shell that allows clothing to be pinned and synched. Fashion forms are easy to dress for displaying top and bottom merchandise. Fashion forms lay flat against display walls and free standing units. Brand: A1 Pacific Inc. | Manufacturer: A1 Pacific Inc. This Economy Women's Jersey Dressmaker Form features a chrome base and finial along with an off-white jersey finish. The jersey cover is removable for cleaning. Perfect for any boutique shop. Shoulder: 15", Bust: 36", Waist: 26 ", Hips: 35"
Only MVG LLC is Authorized to sell under this listing.